Gift ideas for a Memorable Christmas! Play the videos above using the annotations or click on the thumbnails below. The Holidays come and go, but family memories last forever. See how Nicole is remembering Christmas this year with her very own personalized snow globe mug and snowflake ornament. Lovely family Christmas gift ideas you’ll love too! Grandparents love photos of their grandchildren, and these great gift ideas from Di are great when their photo albums run out of space. 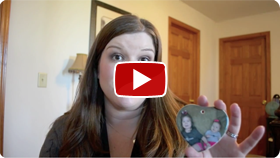 See why she decided that a personalized Christmas ornament would make a great gift this year! There’s still to capture your baby’s first Christmas! 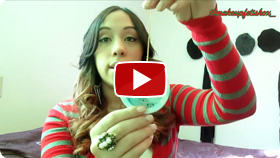 See how Demi decided to personalize her Christmas ornaments this year. What memories would you love to capture as a photo ornament this year? 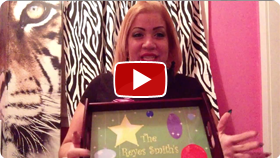 A wholesome Christmas family gift like this personalized serving tray makes the holidays memorable. The perfect gift to receive Santa Claus just set some cookies and milk! Share your gifting ideas with a comment below!